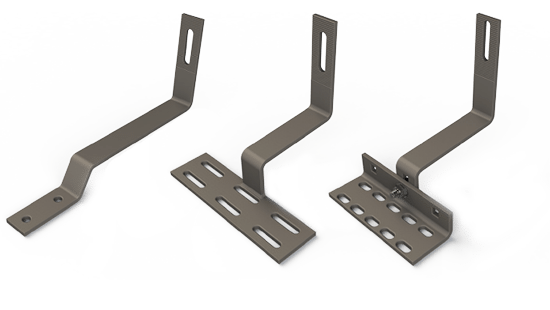 ALBUQUERQUE, NM – April 26, 2018 – Unirac, Inc., North America’s leading manufacturer of solar photovoltaic mounting systems, announced today that it has acquired certain assets of SolarHooks, a manufacturer of residential solar roof attachments. With this addition, Unirac now offers a comprehensive product line to the residential market, a large and growing segment of the solar PV industry. “We’re excited to provide a total solution for solar installers,” said Peter Lorenz, President and CEO of Unirac, Inc. “Our customers have been asking us for a complete product line with the quality of Unirac’s engineering and supply chain.” The acquisition also demonstrates Unirac’s strength and its ability to take advantage of market opportunities. “As we celebrate our 20th year, this investment reflects our confidence in the solar industry and our commitment to our customers,” said Lorenz. Unirac provides innovative mounting solutions for solar photovoltaics. The company has a portfolio of industry leading residential, commercial and utility scale solutions. Unirac’s high quality and competitively priced products are backed by responsive customer support, integrated software solutions, robust engineering services, certified quality, and supply chain excellence. With 20 years of customer service, Unirac has 5GW of experience and more than 500,000 installations worth of knowledge. Partnering with Unirac leverages experience that makes a difference. For more information, visit www.unirac.com and follow @Unirac on Twitter or connect on Facebook and LinkedIn. SolarHooks is a solar mounting systems manufacturer with a focus on delivering high-quality products at competitive prices. Its driving philosophy is to develop innovative yet simple residential attachment solutions for the solar PV market. The company’s suite of patented solutions enables contractors to quickly and confidently install solar on all types of residential roofs. For more information, visit www.solarhooks.com. ALBUQUERQUE, N.M. and HOUSTON, Sept. 18, 2017 /PRNewswire/ — Unirac, Inc., North America’s leading manufacturer of PV mounting systems, and Sunnova Energy Corp., a market leader in residential solar services, announced today that on August 22 Unirac was selected as a preferred provider of PV mounting systems for Sunnova. Sunnova is one of the largest privately-held residential solar services company in the U.S., with tens of thousands of customers in various states, plus Puerto Rico, Guam and Saipan. The company has raised more than $2 billion in financing since 2013. Unirac is North America’s leading supplier of PV mounting solutions. 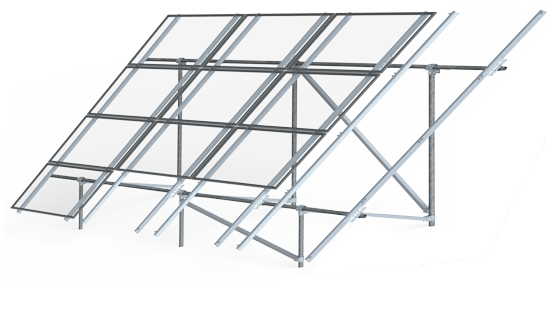 The company’s SOLARMOUNT and SUNFRAME MICRORAIL product lines provide installers with industry-best rail and rail-less options for residential solar PV. Unirac customers leverage the experience of a trusted supplier with 5GW of experience at nearly 500,000 installations, backed by a best-in-class, 25-year, full-system warranty. Unirac provides innovative mounting solutions for solar photovoltaics. Recognized for excellence in product development, Unirac has a portfolio of industry leading residential, commercial and utility scale solutions. High quality and competitively priced products are backed by responsive customer support, integrated software solutions, robust engineering services, certified quality, and supply chain excellence. With nearly 20 years of customer service, Unirac has 5GW of experience and more than 500,000 installations worth of knowledge. Partnering with Unirac leverages experience that makes a difference. For more information, visit www.unirac.com and follow @Unirac on Twitter or connect on Facebook and LinkedIn. Sunnova is simply a different kind of power company, offering rooftop solar service to homeowners within the United States through its network of local sales and installation partners. 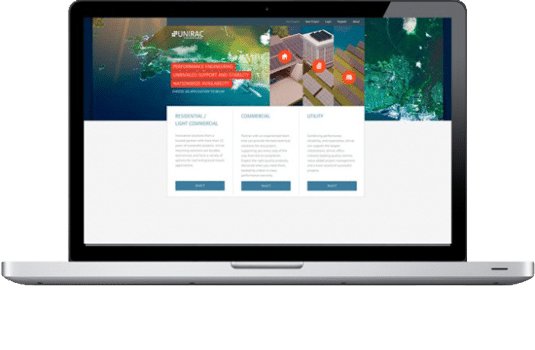 Its mission is to change the energy industry by providing low-cost, worry-free solar power that generates long-term savings for customers and continued business growth for partners. For more information, visit sunnova.com and follow @Sunnova_Solar on Twitter or connect on Facebook and LinkedIn. 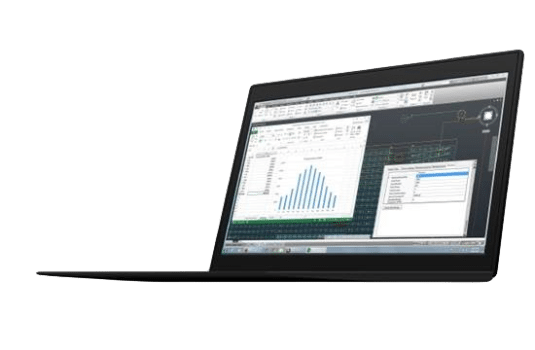 Unirac, Inc., North America’s leading manufacturer of PV mounting systems, and PVComplete, the first CAD-based software solution specifically for solar, have partnered to integrate Unirac’s online design tool into PVComplete’s PVCAD software to help designers quote solar projects faster. “We’re always working to develop tools that make designing, permitting and installing our racking solutions as user-friendly as possible, and our partnership with PVComplete is another exciting example of that commitment. We consider software development a key ingredient in our product roadmap for delivering the best possible design experience and we’re proud of what we’re able to provide with PVComplete,” states Ernest Gallegos, Senior Product Manager for Unirac, Inc.
Unirac pioneered solar design software when it introduced its U-Builder online design tool. Now PVComplete has incorporated U-Builder’s engineering and quoting functions into PVCAD to streamline the design, engineering and generation of a bill of materials for Unirac mounting solutions. For the first time, the solar industry has a CAD based solution for not only the layout but also the engineering and quoting of PV racking. “PVComplete is proud to partner with Unirac as we take PVCAD to the next level. For the first time, users will be able to get instant ballast maps and engineering for PV racking components in PVCAD with the click of a button. Unirac’s commercial product portfolio gives our customers more options for module density and tilt, enabling optimized layout and energy production,” said PVComplete CEO, Claudia Eyzaguirre. PVComplete contains geometries for Unirac’s ROOFMOUNT commercial flat roof product line: ROOFMOUNT Five-Degree Tilt (RM5), ROOFMOUNT Ten-Degree Tilt (RM10) and ROOFMOUNT Dual-Tilt (RMDT). Unirac provides innovative mounting solutions for solar photovoltaics. Recognized for excellence in product development, Unirac has a portfolio of industry leading residential, commercial and utility scale solutions. Our high quality, competitively priced products are enhanced by responsive customer support, integrated software solutions, robust engineering services, certified quality, and supply chain excellence. With over 15 years of customer service, Unirac is fast approaching 5GW of experience and more than 500,000 installations worth of knowledge. Partnering with Unirac leverages experience that makes a difference. For more information, visit http://www.unirac.com. PVComplete, an Oakland, California-based solar design-software provider, introduced PVCAD, the first and only CAD for solar. Powered by Autodesk technology, PVCAD rapidly accelerates solar project design and deployment. Solar designers, drafters and engineers use PVCAD to create comprehensive project designs for ground-mounted, rooftop, carport and sloped roof solar projects. For a monthly subscription, designers leverage all the benefits of AutoCAD, plus PVComplete’s layout, energy modeling, electrical diagrams, and equipment library. PVComplete has devised an intuitive solar design platform for solar designers who want the highest standard of prevision and accuracy. PVComplete is integrated into the AutoCAD environment; designers and engineers get solar specific design tools without having to learn a new software. For more information, visit: PVComplete.com or call 1-567-249-9667. ALBUQUERQUE, N.M., March 21, 2017 /PRNewswire/ — Unirac, Inc., a leading manufacturer in the solar industry, releases new twenty-five (25) year product warranty for Solarmount, Sunframe Microrail (SFM), Roofmount and Unirac Large Array (ULA) product lines. The new warranty took effect on February 28th, 2017. Unirac is the only PV mounting vendor with ISO certifications for 9001:2015, 14001:2015 and OHSAS 18001:2007, delivering the highest standards for fit, form, and function. These certifications demonstrate a high level of excellence and commitment to first class business practices. “The cornerstone of our success is rigorous testing procedures, proven manufacturing processes and a robust quality control program. Our new warranty confirms Unirac’s commitment to developing and manufacturing the highest quality products,” said Todd Ganshaw, Unirac Director of Product Development. Unirac’s new 25-year warranty now matches or exceeds many module manufactures’ warranties, allowing Unirac to become part of a systems’ standard warranty package. For more information about Unirac’s new product warranties, visit www.unirac.com. Unirac provides innovative solutions for PV racking. Recognized for our excellence in product development, Unirac develops progressive residential, commercial and utility scale mounting solutions tailored for performance. Our high quality, competitively priced products are enhanced by responsive customer support, integrated technology solutions, robust engineering services, certified quality, and supply chain excellence. With over 15 years of customer service, Unirac is fast approaching 5GW of experience with more than 500,000 installations-worth of knowledge. Partnering with Unirac leverages experience that makes a difference. ALBUQUERQUE, N.M., Dec. 6, 2016 /PRNewswire/ — Unirac, Inc. a leading provider of innovative PV racking solutions, was selected by Hunt Electric, Inc. to provide ROOFMOUNT | RM10 for a 697kW solar array atop the flat roof of the Vivint Smart Home Arena in Salt Lake City, Utah. Vivint Solar and Larry H. Miller Group of Companies worked together to bring the approximate 2,700 panel project to a city that is ranked sixth in the nation by the American Lung Association for poor air quality. Throughout its 25-year lifespan, the array will offset the equivalent energy consumption of one million pounds of coal per year. Upon its completion in October 2016, the installation became one of the nation’s largest rooftop solar systems at an indoor sports arena and, in a single year, will yield 2X the required electricity needed to power a season of home games at the arena. With only two months to complete construction; Hunt Electric led the way by designing the project, procuring materials and managing all on-site installation and commissioning of the solar array. Hunt Electric selected Unirac’s licensed engineers, including in-house staff and a partnership with PZSE Structural Engineers, to provide custom engineered solutions to overcome unique site conditions while still meeting all customer requirements. “Unirac was very responsive, helping drive the project forward while delivering stamped construction documents with custom-tailored calculations in less than three weeks. This was critical in obtaining the permit to keep the project on track.” Deb Henry, Engineering Project Manager for Hunt Electric. ROOFMOUNT | RM10 is designed with the installer in mind, featuring only two major components with single tool assembly to minimize preparation work and installation time. With two-week lead times, ROOFMOUNT has the fastest delivery in the commercial PV racking industry. “The product was delivered on-schedule and installation was quick and easy. RM10 is an intuitive product with a minimal learning curve.” Mike Carbine, Foreman for Hunt Electric. “Hunt Electric established trust with Unirac throughout the development of this project. Unirac’s products and team of professionals deliver additional value to the services we offer our customers. We look forward to expanding our partnership with Unirac on future projects.” Nick Brough, Project Manager for Hunt Electric. Hunt Electric is a full service electrical, infrastructure, renewable energy and technology contractor, since 1986. Hunt Electric provides industry leading services for various commercial, industrial, mining, data centers, institutional, healthcare and resort projects throughout the Intermountain West. In-house, turnkey services range from engineering to construction services for any size projects – known for consistent quality, integrity, performance and versatility in the marketplace. ALBUQUERQUE, N.M., Sept. 13, 2016 /PRNewswire/ — Unirac, Inc., a leading manufacturer in the solar industry, provides innovative solutions for PV racking. Unirac is excited to announce the expansion of our ROOFMOUNT product line, to include a 5 DEGREE (RM5)and 8 DEGREE DUAL TILT (RMDT) option. Unirac’s flat roof commercial products are designed to maximize profitability at every step. “The addition of RM5 and RMDT to our ROOFMOUNT product line gives our customers more options for density and tilt, enabling better optimization of energy production. 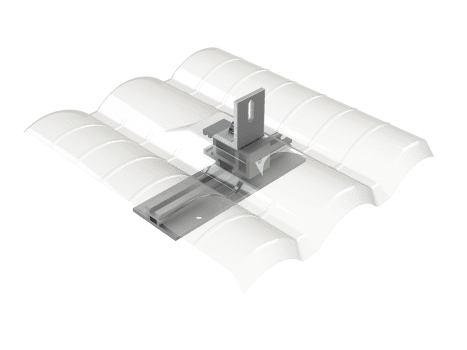 Feature such as single tool installation and improved wire management options save time and money on the roof, while our more compact packaging lowers freights costs. We have designed the ROOFMOUNT product line to improve our customer’s profitability at every step of the project installation process,” states Bill Vaught, Product Manager of ROOFMOUNT (Large Commercial) at Unirac, Inc.
Unirac’s RM5 system provides unsurpassed adaptability and layout flexibility with 5 degree tilt. Row spacing options of 7.5 IN. or 11 IN. give you the ability to maximize array layout and increase project energy production. 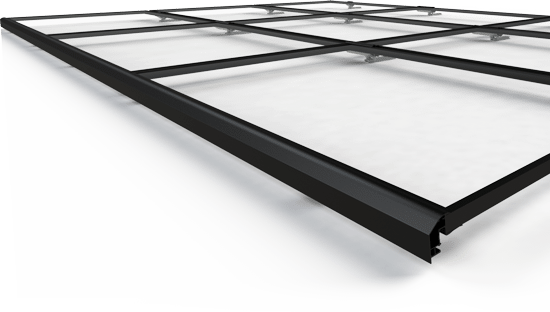 Wind deflectors provide ballast reduction and fire mitigation to reduce overall system weight on the roof to meet a variety of project requirements. Unirac’s RMDT system maximizes energy density, with 8 degree dual tilt, allowing up to 33% more modules on the roof. The elimination of wind deflectors and fire skirts reduces part count and streamlines the system installation. Unirac’s team of technical experts customize quotes to achieve the lowest total installed project cost. Permitting is made easy with Unirac’s UL2703 certified documents, stamped PE letters, construction drawings and AHJ outreach program. Rapid installation is achieved with a single tool, integrated bonding, and Unirac wire management clips to simplify procedures at every step. 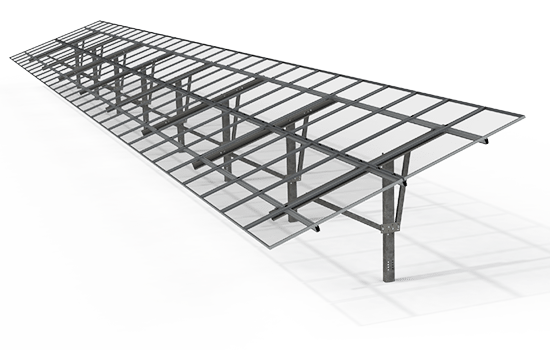 Unirac’s ROOFMOUNT product line has the fastest delivery in the commercial PV racking industry, with two-week lead times from our factory and immediate deployment through our nationwide distribution network. 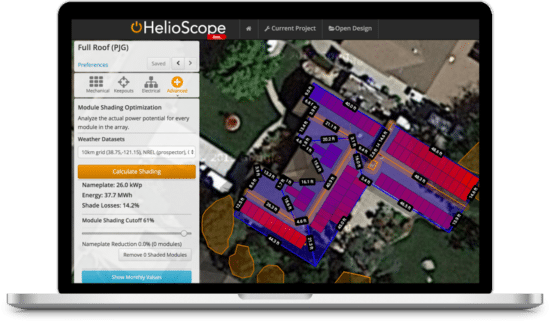 Unirac’s world class U-Builder seamlessly integrates with HelioScope to allow users to quickly obtain row-by-row designs with ballast distribution maps; generate site specific engineering reports and access CAD files for construction drawing development. “The ROOFMOUNT suite of products scale effectively for any commercial project size. Its reduced part count and rapid installation make it perfect for both large & small commercial projects. RM is supported by the largest nationwide distribution network in the commercial roof market.” states Ernie Hood, Senior Product Manager of ROOFMOUNT (Small Commercial) for Unirac, Inc.
ALBUQUERQUE, N.M., Sept. 8, 2016 /PRNewswire/ — Unirac, Inc., a leading manufacturer in the solar industry, provides innovative solutions for PV racking. Unirac has an agile stage-gate product development process, which has produced more than a dozen product enhancements since 2013. The success of our collaborative process is based on partnerships with industry leading manufacturers and refined through the voice of the installer. Unirac will showcase our latest enhancements at the 2016 Solar Power International (SPI) Trade Show. Our products are supported by cutting-edge digital design tools and industry-best customer support delivering value from beginning to end for your solar project. 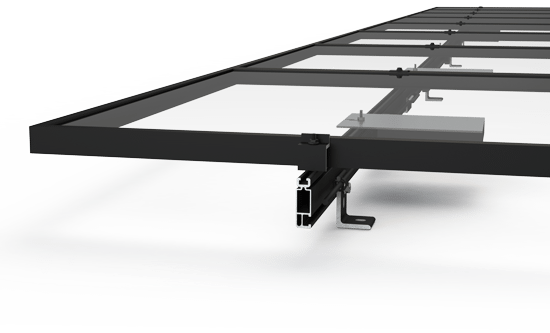 NEW – SUNFRAME MICRORAIL (SFM) leads the industry in empowering installers to deliver systems with superior performance and aesthetics. 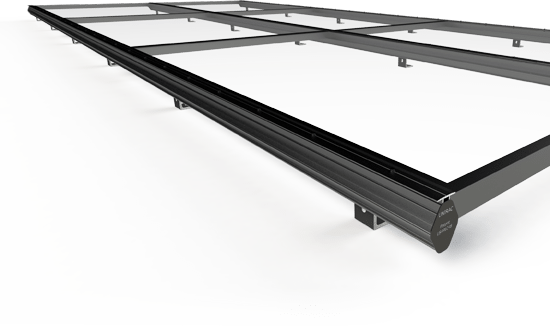 Key innovative features include structural front Trimrail TM, post-install height adjustment, single module access, and single tool installation. NEW – ROOFMOUNT 5 (RM5) provides unsurpassed adaptability with 5 degree tilt. Row spacing options of 7.5″ or 11″ give you the ability to maximize project energy production. NEW – ROOFMOUNT Dual Tilt (RMDT) maximizes energy density with 8 degree dual tilt, allowing up to 33% more modules on the roof to maximize profitability at every step. SOLARMOUNT is now featuring a superior aesthetics package, which includes front trim and end caps. SOLARMOUNT also offers standard and light rail options. U-Builder Online Design Tool helps you grow and scale your project quoting capabilities. Seamless HelioScope integration, and Google Maps with enhanced zoom capabilities create a seamless process for installers to design a project and produce a bill of materials with site-specific engineering documentation. New – Product Roadshow Trailer puts installation knowledge in your hands. This is an exciting addition to our comprehensive training and support services, providing live demos of our products at a location near you. ALBUQUERQUE, N.M., June 2, 2016 /PRNewswire/ — Unirac, Inc., a leading provider of high quality, competitive PV mounting solutions in North America, is pleased to announce a superior aesthetics package for SOLARMOUNT. The new Front Trim and End Caps position SOLARMOUNT as the New Face of Solar Racking. Front Trim provides a streamlined clean edge for curb appeal, is fully compatible with SOLARMOUNT hardware, and maintains integrated bonding for the entire array. End Caps provide a finished appearance, easily snap into place and help to prevent pest infestation. Easily add Front Trim and End Caps to any SOLARMOUNT array with the click of a button in our U-Builder design tool. At Unirac, we believe every solar array should look beautiful, while delivering the performance you expect. “We strive to commercialize products which are not only quickly and easily installed, but represent the very best in PV innovation and design. 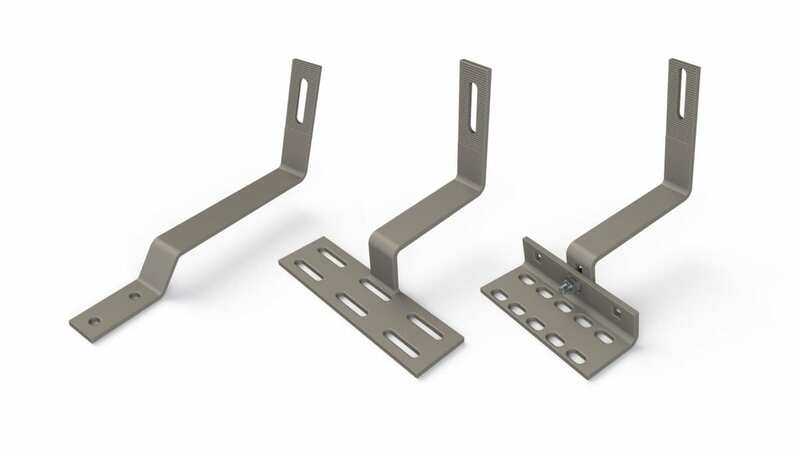 Front Trim and End Caps create a new superior aesthetics package that represents the next iteration of design and utility for our flagship product line,” states Brandon Carrasco, Product Manager of SOLARMOUNT for Unirac, Inc.